ninazaharin blog: Red, White, and Blue Ice Cream Treats! If you're like me, you are off to a Fourth of July dinnertime picnic and you still haven't made dessert. And it's hot!No worries! Here's a list of recipes that look pretty promising! Some are quick and easy, others you might want to start thinking about for next years' Fourth. On the otherhand, this Red, White, and Blue Ice Cream Floats recipe is a quick trip to the store on the way to your party and the rehearsed: "Sorry I couldn't assemble these in advance, but you know, it's ice cream and it would melt..." You are all set! 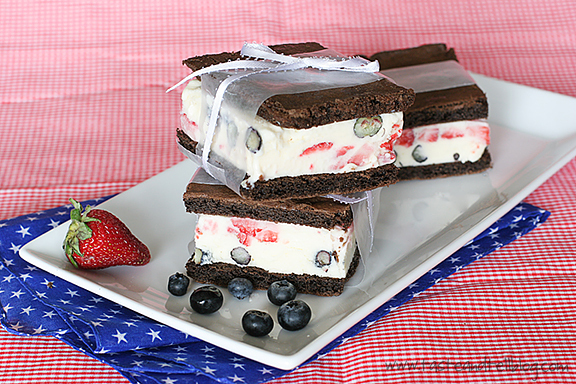 Red, White, and Blue Ice Cream Sandwichescourtesy of Sandra Lee.One and Two Different Red, White, and Blue Ice Cream CakesRed, White, and Blue Ice Cream Terrine(My favorite find) Red, White, and Blue Ice Cream SandwichesGot the vanilla ice cream but no where to put it? 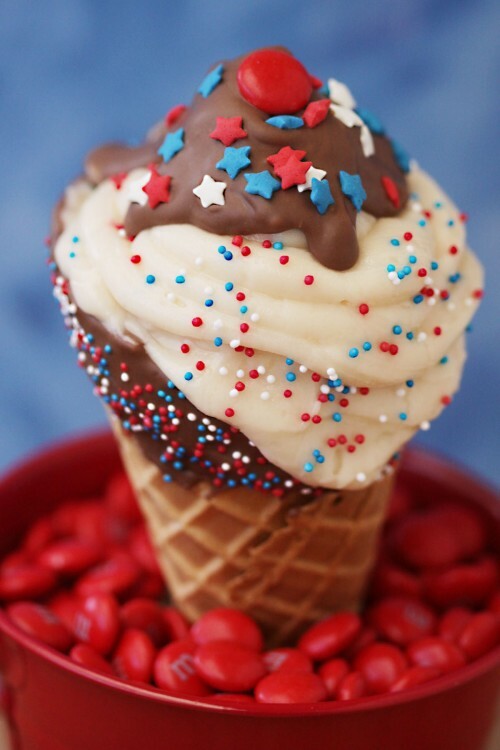 How about Red, White, and Blue Ice Cream Cones?Sorry for the short post but my own party starts in a couple of hours and I have treats to make!! Old Glory Ice Cream Cake at Bake Decorate Celebrate!